Suitable for all skin types, especially dry and sensitive. Perfect for manicures and pedicures. 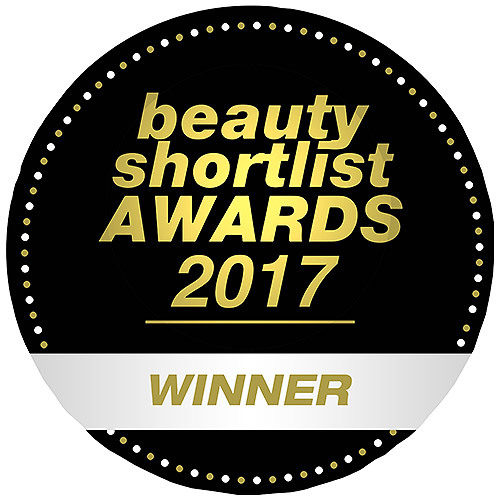 Aqua, Aloe Barbadensis Leaf Juice, Sesamum Indicum (Sesame) Seed Oil, Cetearyl Alcohol, Glycerin, Cetyl Alcohol, Ceteareth-20, Rosa Canina Fruit Oil (Rose Hip), Simmondsia Chinensis (Jojoba) Seed Oil, Persea Gratissima (Avocado) Oil, Triticum Vulgare (Wheat) Germ Oil, Theobroma Cacao (Cocoa) Seed Butter, Butyrospermum Parkii (Shea Butter), Borago Officinalis (Borage) Seed Oil, Tocopherol (Vitamin E), Lavandula Angustifolia Flower/Leaf/Stem Extract (Lavender), Phenoxyethanol, Benzyl Alcohol, Citrus Tangerina (Tangerine) Peel Oil, Citrus Nobilis (Mandarin Orange) Peel Oil, Lavandula Angustifolia (Lavender) Oil, Hydrolysed Soy Protein, Vanillin, Vanilla Planifolia Fruit Extract, Linalool*, Limonene*. 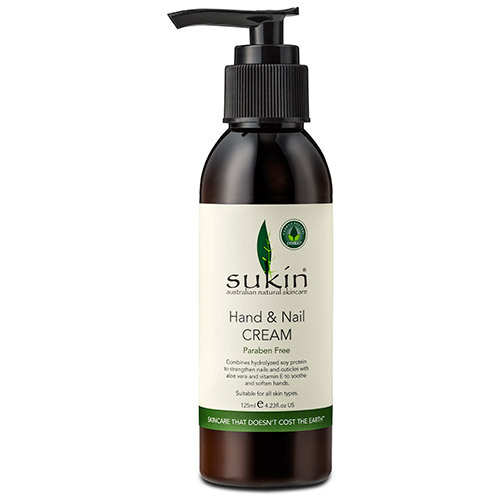 Below are reviews of Sukin Hand & Nail Cream - Pump - 125ml by bodykind customers. If you have tried this product we'd love to hear what you think so please leave a review.